I’ve always been a big jumpsuit lover. Especially when I feel too lazy or uninspired to make any sartorial decisions. Put it on, add a few accessories and you’re good to go! 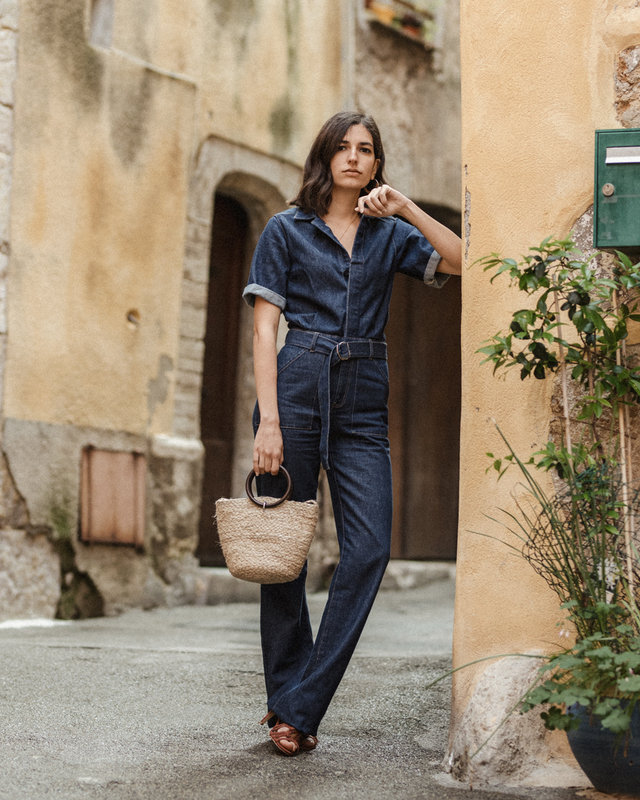 Ever since I wore a denim jumpsuit last year, I went on a hunt for a very specific style. 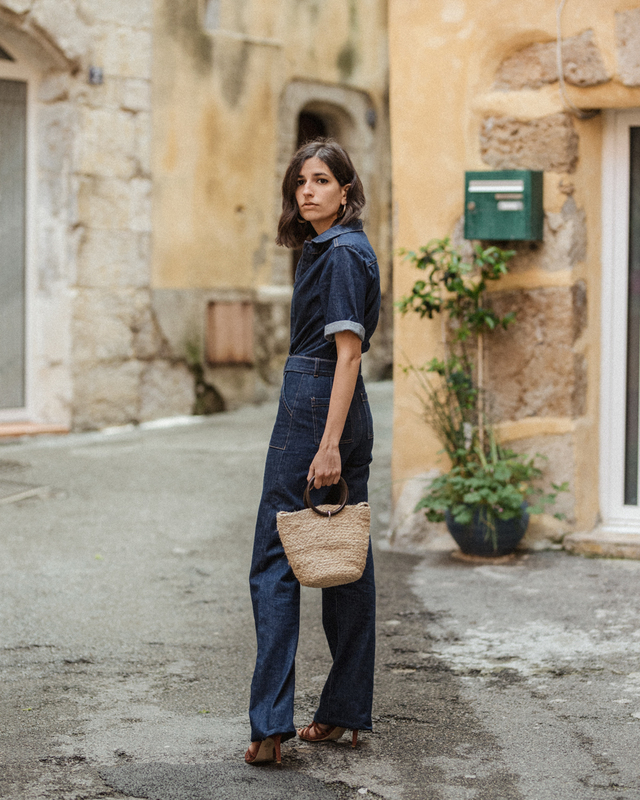 As you’ve already guessed it, I was looking for a 70s inpired denim jumpsuit. However, I kept stumbling upon gorgeous ones that were not that affordable. As I’m not made of money, I kept lurking on every high street stores that I knew. I almost gave up my researches when I had the lovely surprise to find this gorgeous one from Mango. Granted, it’s still a bit pricey but it’s not out of reach for my bank account. Needless to say I’ve been wearing this jumpsuit on repeat. However, I kept styling it in a very similar way. Usually with a pair of tan or brown sandals. I just love how brown looks against dark denim! When my feet weren’t too lazy to carry me, I put on a pair of heeled sandals as you can see on the photos above. As this jumpsuit is such a strong piece, there is not the need to do much for the accessories. 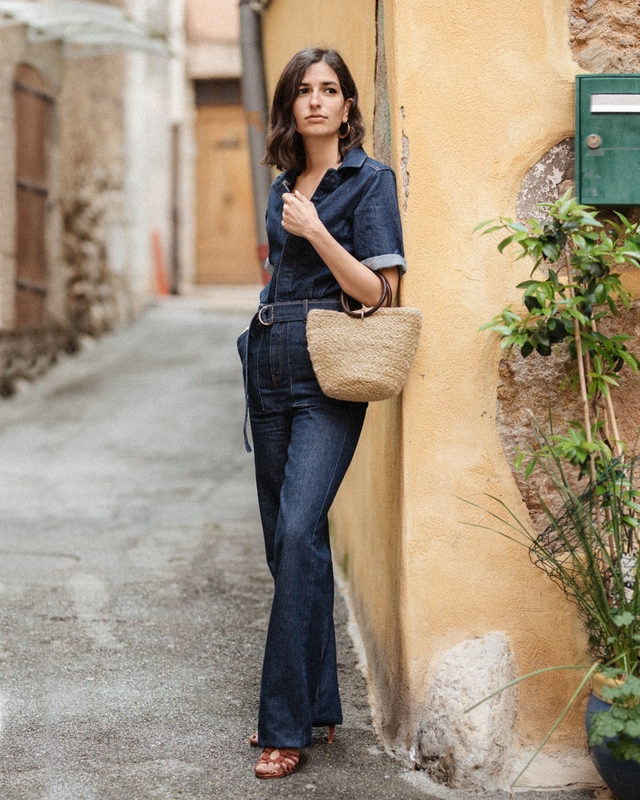 A little straw bag, for a summery touch, and a pair of hoops and voilà! 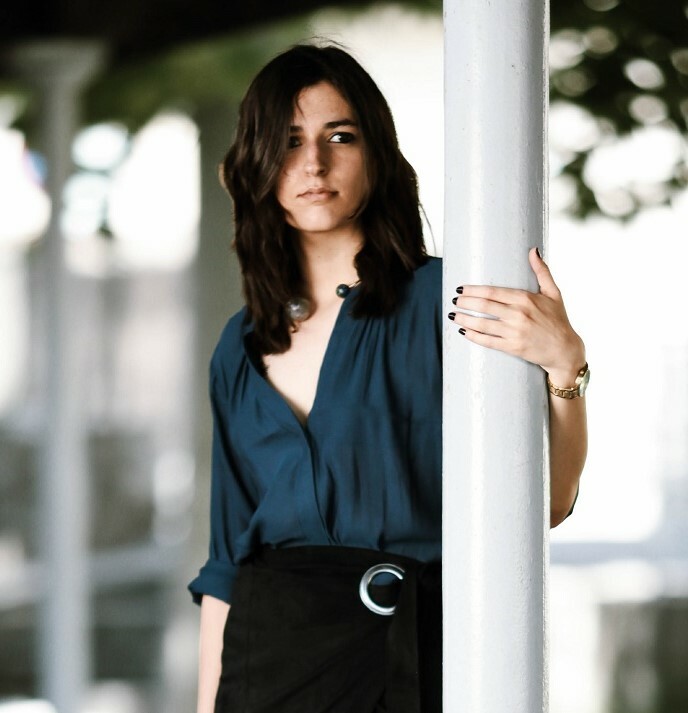 How would you style this jumpsuit? In love with this outfit and the 70’s vibe! I’m a jumpsuits lover too, I’s a simple piece but at the same time you don’t need too much to look great. This one is amazing, I love fabrics denim too….. You look so cute. This jumpsuit is seriously perfect! It looks so great on you! Such a fun jumpsuit!! And I want your bag! So cute! 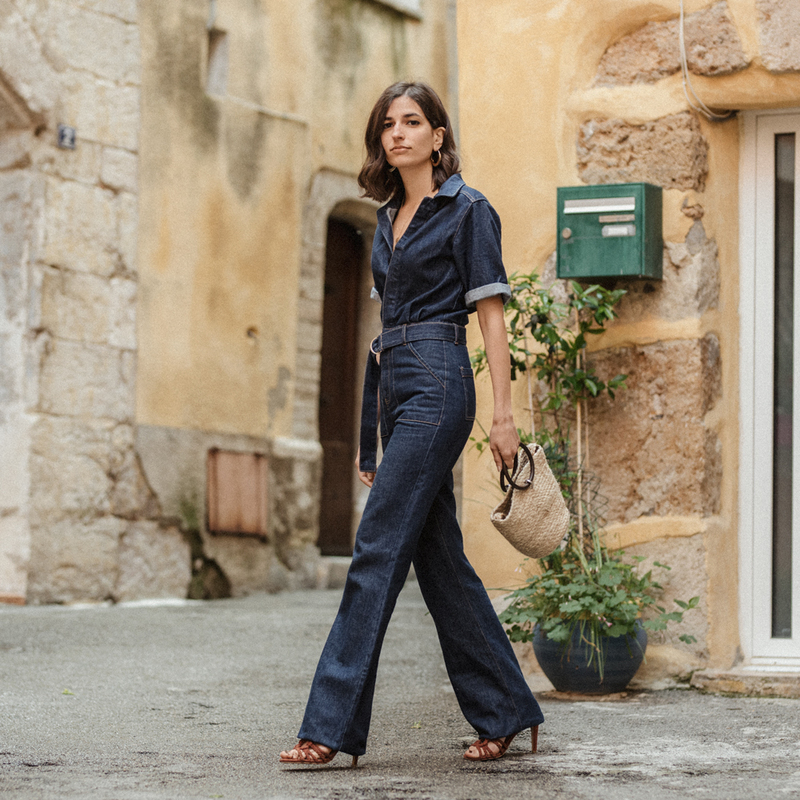 Love this 70’s inspired jumpsuit and I just love your style in general. Classic, cool and effortless. Such a chic 70s vibe you have here dear. 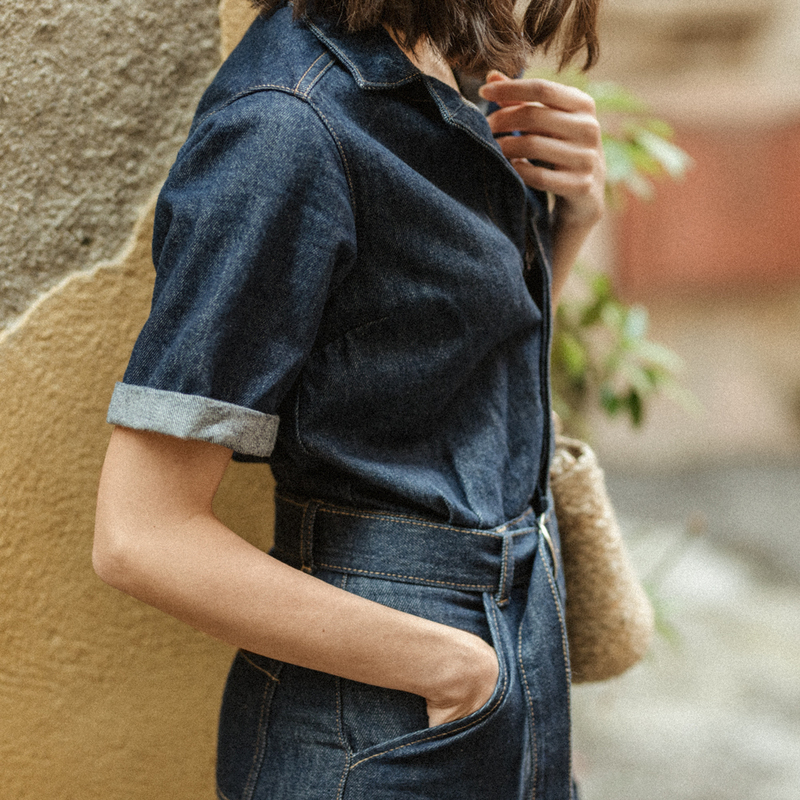 Love the denim jumpsuit, it’s a classic casual look.